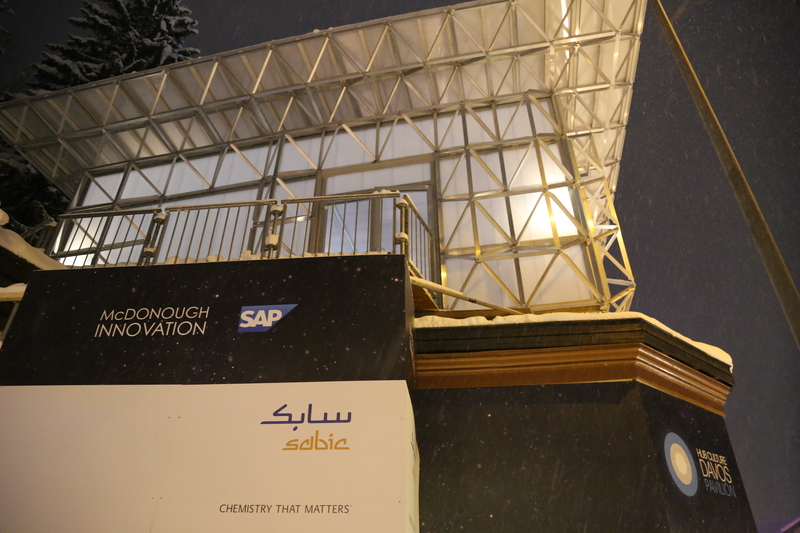 An elegant structure featuring prominently in Davos during the 2016 World Economic Forum is displaying how SABIC’s advanced materials enable the creation of energy and material-conserving structures that are easy to assemble, disassemble and reuse. “This structure is a superb example of how SABIC’s cutting-edge technological materials and ingenious designs from a world-leading architect, such as William McDonough, can combine to push the boundaries of architecture and sustainable development,” said Yousef Al-Benyan, acting Vice-Chairman and CEO of SABIC. 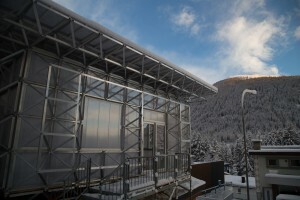 The World Economic Forum is taking place in Davos, Switzerland, from January 20 to 23. The meeting is attended by 2500 of the world’s most influential business, political, scientific and social thought leaders. The structure, called ICEhouseTM – where ICE stands for Innovation for the Circular Economy – was built using SABIC’s LEXANTM sheet and systems for the walls, ceiling, roofing and windows – all mounted to an aluminium frame. LEXANTM multi-wall sheets on the walls and ceiling are filled with an insulating nanogel for energy efficiency. ICEhouse was conceived, designed and built by William McDonough, author and sustainability pioneer, and his companies, William McDonough + Partners and WonderFrame LLC. 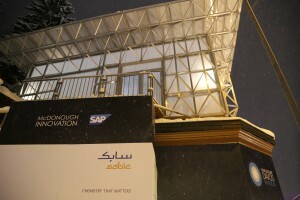 ICEhouse, which was built with collaboration and support from SABIC, one of the world’s leading petrochemicals companies, will be part of the Hub Culture Pavilion, an area giving organizations and participants at Davos a space to convene and work. The Circular Economy incorporates the Cradle to Cradle® design philosophy, developed by William McDonough, which incorporates the principles of material health, material reutilization, renewable energy, clean water and social fairness. The Circular Economy utilizes this approach to product design to break the typical take-make-dispose flow of material resources today, replacing it with designs that conserve materials and energy through products that are inherently recoverable, reusable and recyclable. The goal of the Circular Economy is economic growth that is not constrained by shrinking material availability and escalating cost. • SABIC and brands marked with ™ are trademarks of SABIC or its subsidiaries or affiliates. ICEhouseTM is a trademark of McDonough Innovation, LLC. Cradle to Cradle® is a registered trademark of MBDC, LLC. • SABIC may please be written in every instance in all uppercase.